There’s something oddly comforting about the old farts hanging about in their lawn chairs on the label of Smuttynose’s “Finest Kind” IPA. Perhaps I’m gazing into my distant future? Life could be worse, right? Cracking the cap off, this 6.9% ABV American IPA pours a effervescent light golden color with a meager white head. A subtle floral fragrance wafts out of the pintglass mingled with a strong blast of yeast aroma. It’s a curious blend that lacks the heavy duty citrus you so often see with the style. The hop flavor starts off subdued, balanced nicely by a subtle sweetness from the malts, but it picks up towards the tail end with a bitterness that creeps in and lingers on the tongue. This lightbodied IPA is deceptively complex and quite drinkable, but it doesn’t inspire me to hit the fridge for another pint. This entry was posted in Beer Nerdistry and tagged beer, beer nerdistry, beer review, beer reviews, craft beer, freelance, geek, ipa, nathan meunier, nerdy beer, quickie, Review, smuttynose ipa, writing by nmeunier. Bookmark the permalink. truth. i have yet to comprehend its popularity because i always felt “meh” about it. can’t edit my comment? sheesh. should have read more closely. 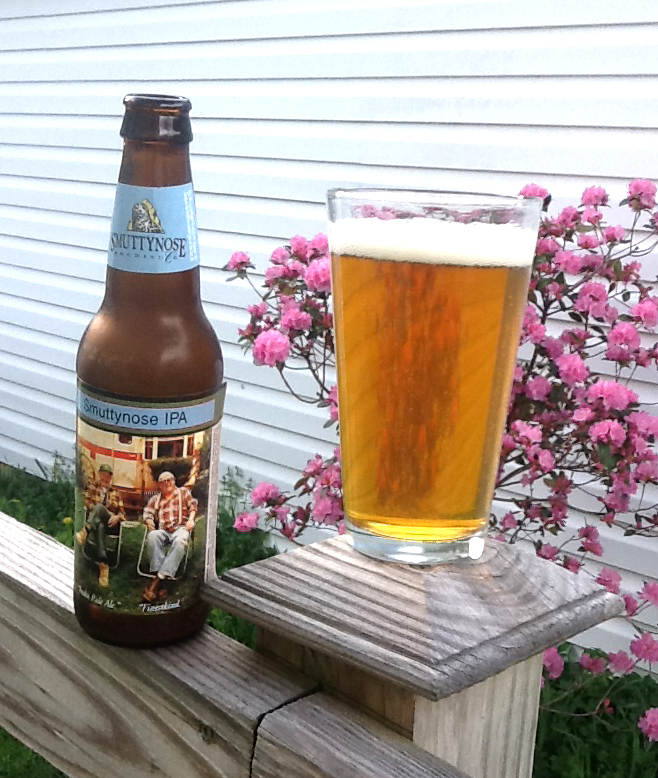 smuttynose is worth at least a C if not a B. i was thinking of switchback, which gets a C at most, on a good day. Too bad I had to run to practice, I was enjoying our beer nerd-fest conversation last night! Yeah man, a little to yeasty flavored/smelling. Not my fav for the style for sure! Although, I was really impressed with Gigantic’s IPA. You can get their brews locally now.